Alliance Business Services : Resources : Alliance Blog : 4 REASONS WHY DIRECT MAIL IS STILL THE BEST MARKETING STRATEGY OUT THERE! Whether it be a simple letter, or a direct mail piece, the tangibility of holding and feeling something adds sincerity and a connection that digital just doesn’t provide. So here are 4 reasons why direct mail s is still the best marketing venue out there today! People’s virtual inboxes are littered with spam and unread messages, and the problem is only getting worse; according to a recent study over 70% of emails received in peoples inboxes are considered spam. With more and more businesses choosing email, the problem of spam and email marketing is only getting worse, not better. Meanwhile direct mail marketing is becoming more popular than ever. In anotherrecent study, researchers found, “Direct Mail Outperforms All Digital Channels Combined By Nearly 600%”. Unlike online advertising, you aren’t fiercely competing for people’s attention and reaching for engagement and action that comes later down the road. New studies indicated that the average attention span for online users is now less than 9 seconds. Meanwhile in stark contrast,research has found that people spend up to 30 minutes just reading their mail alone. 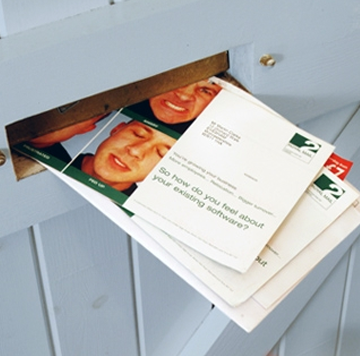 This gives direct mail a very strategic and important advantage; allowing you to connect with your audience and deliver your message in a much more meaningfully and engaged manner. Additionally, if you’re not convinced enough already, the Howard Hunt Group also conducted a study that found that, “Mail measured 16% higher than email in terms of neurological response for engagement”. And finally, and perhaps most importantly, it was also found by theUSPO that, “40% of consumers try new businesses after receiving direct mail”. In other words, if you deliver the right message, to the right people…they take action!